Dense rubber core encapsulated in solid nitrile rubber. Resistant to chemicals, animal fats and petroleum products. 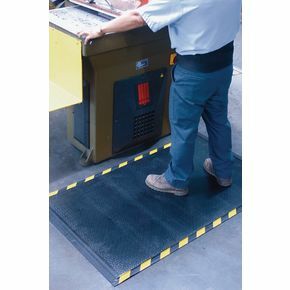 Ideal for production lines, industrial and commercial anti-fatigue environments.